Rivers State deputy governorship candidate of the African Action Congress (AAC), Chief Akpo Bomba Yeeh has withdrawn from the 2019 Rivers State Governorship Election due to 'desperation'. He said: "After due consultations with my immediate family, friends and supporters, I Chief Akpo Bomba Yeeh, the Deputy Governorship of the AAC for the 2019 Governorship election hereby resign my membership of the AAC and announce my defection to the PDP to join hands with Governor Wike to move the state forward." He added: "I was the Deputy Governorship Candidate of the AAC in Rivers State up till today 25th March, 2019, when I decided to withdraw my candidature and resign from the party with immediate effect. "The March 9, Governorship election in Rivers State has been lost and won; lost by my party, African Action Congress (AAC) and its Candidate, Engineer Biokpomabo Awara and undoubtedly and overwhelmingly won by the Governor of Rivers State, the candidate of PDP, Nyesom Ezenwo Wike." He said: "The collated results further showed that contrary to the false claim of fictitious lead by the AAC/APC alliance, the PDP overwhelmingly won all the elections in 18 out of the 19 LGAs, culminating in the declaration and return of the party 26 House of Assembly Constituencies by the Constituency Returning Officers. "This fact was confirmed on the 13th of March 2019, when INEC stated, as a matter of fact, that it had in it's safe custody collated results for 17 Local Government Areas as well as the declaration of the PDP Candidates for 21 State Constituencies. "The outcome of the elections on March 9, 2019 clearly showed the preference of the people of Rivers State. Even the blind can see and the deaf can hear the echo that Rivers people overwhelmingly voted to stick with Governor Wike for the next four years to encourage him to continue with the good works." "I was forced to sign an un-dated letter of resignation as the Deputy Governor of Rivers State to pave way for Rotimi Amaechi to nominate another person as Deputy Governor. "These were slavish conditions for any rational politician worth his name to accept, but I pretended to play along because doing otherwise at that time would have been too dangerous for the safety of my life, given Rotimi Amaechi's desperation to remove Governor Wike from office and install his stooge in the person of Engr Awara against all odds." He said that though the AAC Campaign was never serious and never campaigned for the office of the position of Governor of Rivers State and that Amaechi, during the adoption of the party, said that he would fund the elections and do everything under the sun to give AAC victory at the polls. 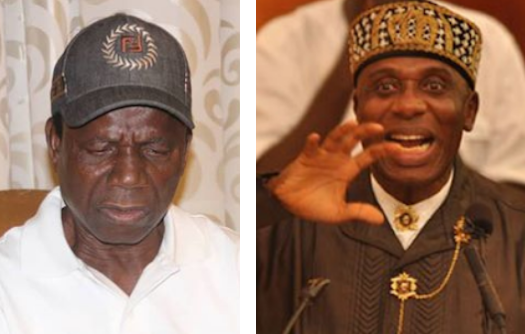 He said: "Amaechi disclosed to us that he had already assembled security personnel drawn from the Nigerian Army, the Police, DSS and FSARS to provide adequate security cover and enablement for members of the AAC and APC to effectively rig the Governorship election and have us declared as winners on March 9, 2019." Chief Yeeh outlined the conditions: "First, he (Amaechi) must be the one to appoint 90 percent of all political office holders, including commissioners, Special Advisers, and chairmen and members of Government Agencies and parastatals. "Second, he must be the one to nominate and produce all the 23 Local Government Council Chairmen and other principal officers of the councils. "We, that is, Engr Awara and my humble self must consult and take instructions from him on all financial, policy and fiscal matters, as well as award and payment of all contracts and other financial transactions upon inauguration as Governor and Deputy Governor of the state." He added: "As a practicing Christian, I have come to the conclusion that the actions and desperate attempts by Amaechi and the AAC/APC alliance to rig the Governorship and State Assembly elections in Rivers State are both morally and legally wrong, reprehensible and inimical to the collective interest of the people of Rivers State. "The Almighty God will not forgive me if I continue to lend my support to Rotimi Amaechi's perfidy against the democratic rights of the people of Rivers State to freely elect their own leaders." He condemned the Minister of Transportation for unleashing violence on Rivers people in his failed attempt to rig the 2019 Rivers Governorship election. 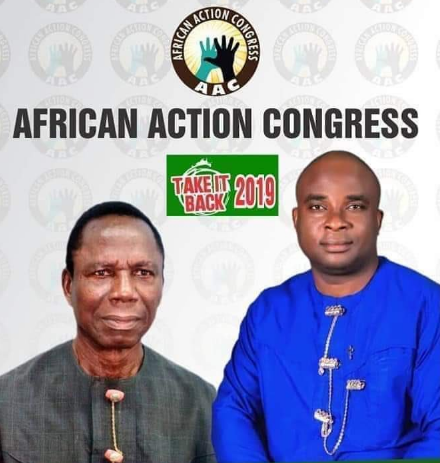 The Former Deputy Governorship Candidate of AAC stated that he has informed Engr Awara in writing of his withdrawal and resignation from the Governorship.